New screening methods at Jacksonville International Airport will make going though security a bit more private, and federal officials says it's just as effective. After previous screening methods have drawn criticism from the travelers whose only other choice was a potentially embarrassing pat-down, the Transportation Safety Administration changed its software. The screens now only show metal or other foreign objects on a person's body, but not his or her private parts. 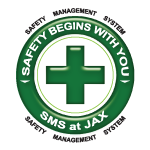 "(It) safely screens passengers for both metallic and non-metallic threats, including weapons and explosives without physical contact to keep the traveling public safe," said Ed Goodwin, security director for the TSA in Jacksonville. "With the installation of new software, we are able to employ state-of-the-art technology while taking in the privacy concerns of the passengers to the next level." Passengers like Amy Marshal are concerned that less revealing screenings could make the system more vulnerable to terrorists. "I was not all that offended by the more revealing one," Marshal said. "It did not really bother me. If it shows more that way, I think they should have left it." But TSA officials say the new screening is actually better, particularly for passengers with artificial hips or other metal body implants. They can now elect to go though this process and avoid a pat-down. 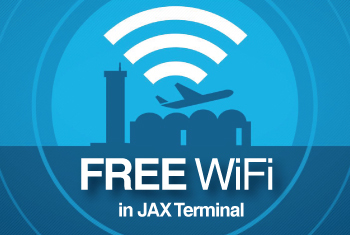 While the new software was deployed in Jacksonville and most other major airports in time for the busy Thanksgiving travel, it may not be used on everyone. Metal detectors will also be used when the lines get long.